How to get all emails from a domain? How to find emails with first name, last name, and company name? How to verify a list of emails? 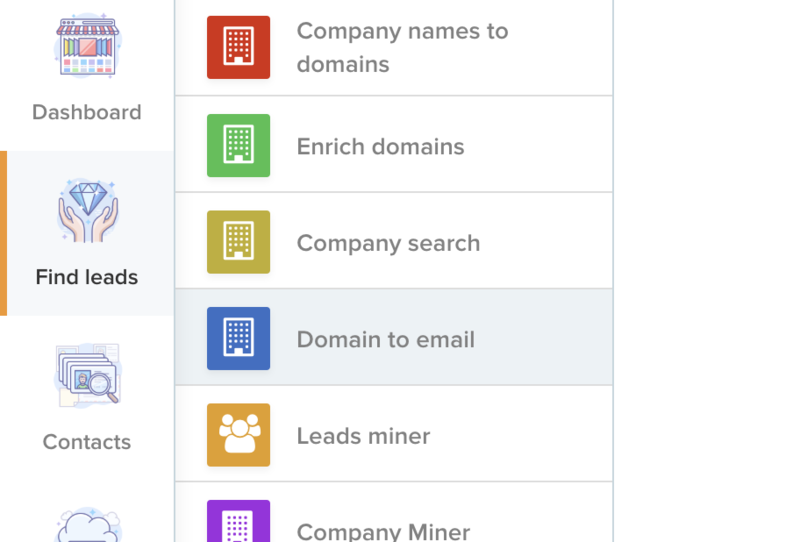 How to enrich and find employees emails from a list of domains? How to convert / find the company domain from a list of company names? In order to export the emails associated with a domain, you must go to the &apos;find leads&apos; section. Then click on &apos;domain to emails&apos; and enter the domain name you want to search, we will look for example the domain &apos;accenture.com&apos;. After typing the domain highlighting a list of emails is presented by the tool, to &apos;export all the emails, click on &apos;export in csv&apos;. You then get a CSV with all the emails associated with &apos;accenture.com&apos; with two columns one for the emails and another for the urls where are the emails on the page. You are now able to export emails associated with a domain in 1 click.